At Enclave Dental, we believe in taking a holistic approach to dentistry to ensure your overall well-being. As part of our mission to deliver the safest treatments possible that don’t impact your overall health, we offer various metal-free options to replace missing teeth. We offer dental implants, dental bridges and removable partials to treat tooth loss. Our Southlake metal free restorations give you a high-quality and durable tooth replacement that looks natural. Why Choose Metal Free Restorations? Metal restorations have held a common place in dentistry for decades; however, research now proves a safer alternative with metal-free restorations. Metal-free options are made from strong, durable materials that match the color of your enamel for a repair that blends in seamlessly with your remaining natural teeth. Restorations that are free of metal are safe for patients of all ages, including pregnant women because they pose fewer health risks. With metal-free alternatives, you’ll replace your missing teeth with a safe, natural-looking solution. As a Southlake dentist with a focus on patient health, we are able to restore your oral health and functions with multiple options to replace missing teeth. Our options for tooth replacement are completely metal-free, so you’ll have an effective and natural-looking solution without having to use traditional metal restorations. For those interested in replacing teeth with a more natural option, we have several solutions based on your level of tooth loss. Dental Implants— Dental implants have quickly become the preferred option for tooth replacement because they offer a permanent form of tooth replacement. However, most implants involve inserting a titanium post into the jawbone. Instead of using titanium, ceramic posts can be used. 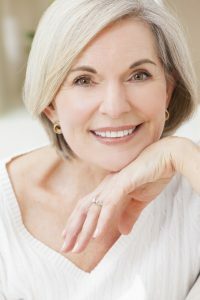 While we don’t place ceramic implants ourselves, we can refer you to highly reputable specialists who do. We do, however, provide ceramic implant crown restoration. Bridges— Dental bridges are a popular and effective form of tooth replacement that often consists of a metal framework. We offer all-ceramic bridges that are similar to a traditional dental bridge, minus the metal. All-ceramic bridges are equally as durable as traditional bridges, but offer a more natural look without the worry of developing a grey line around the gums. Removable Partial—For those who need to replace several teeth, we have an alternative to traditional partials with Valplast. Valplast is a flexible material that’s thinner than other types of partials, while also being translucent for a more natural look. The comfortable, lightweight partial dentures are removable and completely metal free. Enclave Dental strives to bring you the latest dental technology while keeping your overall health in mind. We proudly offer Southlake metal free restorations to treat your tooth loss. We provide the natural and relaxing approach you need for maximum oral care. With our wholesome restorative services, we’ll exceed your expectations by creating the healthiest smile possible. If you’re ready to benefit from metal-free restorations, call your Southlake dentist at (817) 912-1218 to schedule an appointment. We’ll give you a complete smile with alternative restoration solutions.